It's time for a new popcorn selling season! Please come out to our Popcorn Kickoff 2017 Pack Meeting to learn all about the new products and new prizes! This year's THEME is "Lego Ninjago", so think of a fun costume to wear! Why: To learn about the new popcorn products, new prizes and to have fun! Uniform: Either activity shirt, or come dressed as your favorite Lego or Ninja character! See you all at the Popcorn Kickoff Pack Meeting on August 20! It's time for a new popcorn selling season! There are a lot of exciting changes this year. Please come out to our Popcorn Kickoff 2016 Pack Meeting to learn all about it! This year's THEME is "Pokemon Go", so think of a fun costume to wear! Why: To learn about the NEW CHANGES to the popcorn program and win prizes! Uniform: Either uniform shirt, or come dressed as your favorite Pokemon Go character! There are A LOT of changes this year, but the biggest change is our popcorn vendor. Gulf Coast Council has switched from Campmasters to Trail's End popcorn products this year. Here's the new sales sheet; check it out and learn the new products! See you all at the Popcorn Kickoff Pack Meeting on August 21! You will come to my house. Bring all your popcorn sheets, money, and any popcorn you have checked out but haven't sold. We will go through your sheets together, check in your popcorn and money, and place your order. I will add any online sales to your totals. Your Scout will choose which prizes he wants to order. I will keep your sheets at that time. Popcorn will come in on November 19th. We will call you when your order is ready to be picked up, and you will go to Julie Foster's house to pick up your order and sheets. You will then deliver your popcorn ASAP, and collect any outstanding popcorn money. Turn any money in to me. Prizes typically arrive in December in time for our December Pack Meeting. If you have popcorn to turn in, PLEASE get it to me before 3pm on Friday, Oct 23 so we can sell it at our last Show and Sell! As always, please email me with any questions or concerns. Thank you for all your hard work in making this another successful popcorn season! Without your efforts, the Pack would not be able to afford to do the fun things we do every year. We are halfway through our popcorn sales season, and the Scouts have been working hard! We've completed EIGHT Show and Sells, with three more to go, and have sold over $15,000 worth of popcorn so far! That's fantastic! If we keep working hard, and selling door to door in our neighborhoods, we may be able to beat last year's Pack Record of $35,000. It's a lofty goal, but I think we can do it! I have just added another Show and Sell to our Show and Sell Dates page: RAD Soccer Tournament on October 3. Thanks go out to Cayden Lockhart for setting this sale up for our Pack. If you're interested, head on over and sign up! If you have popcorn money to turn in, or product that you're not going to sell, please contact me at popcornkernel@pack553.net and I will meet with you to pick up your money or popcorn. You have until October 24 to continue to sell; we are just running a bit low on product for Show and Sells so I need what you aren't going to sell. Thanks in advance for your assistance. We're about halfway through our popcorn season, and by all accounts we are doing a great job! We've successfully completed five Show and Sells, with five more to go. Some Scouts have turned in money to me already, also. We are definitely on track to have a great year. If you haven't yet, check out our Show and Sell Dates page to sign up for a shift at an upcoming Show and Sell. There are still empty slots available. Working the Show and Sells is a great way to fill up your sheets, and our Pack represents Scouting very well to the community. I am so proud of all the hard work the Scouts have been putting in to make this a successful popcorn season! I know that a few Scouts have already qualified for Sportsman's Day just from working the Show and Sells. Also, multiple Scouts have secured their place in the drawing for the Pack "Pay Your Way" Prizes: tickets to Wonderworks in Panama City or an iPod Nano. Keep working hard to support your Pack, and win some great prizes! Winn-Dixie Show and Sells Added! Two new Show and Sells are live on the Show and Sell Dates page! Go sign up for your shift now. Show and Sells are a great way to fill up your sheet and win some prizes! Popcorn 2015 - May the Corn be With You!! It's that time again, Cub Scouts.... POPCORN TIME! Our theme this year is "Star Wars", and I'm super excited about that. We will be having our fabulous Popcorn Kickoff at the Pack Meeting on Sunday, August 30th; 4:30pm in the COR Parish Hall. Please join us for a fun and informative afternoon. Be sure to come dressed as your favorite Star Wars character! We will be having a costume contest; you might win a prize! Even the leaders will be getting in on the fun, so see if you can guess what costumes you'll see the Adult Leaders wearing. WHY: Why not...? And you may win a prize! UNIFORM: Your favorite Star Wars Character! Parents too, if they are fun parents! It's Time to Turn In Popcorn Orders!! Popcorn season is coming to a close! We have enjoyed an extremely successful Show and Sell season, selling $13,560 of popcorn and bringing in $2,552.39 in donations over the course of 9 Sale events. Lots of Scouts supported their Pack and represented the Scouting program well, and I am grateful for all the hard work and dedication shown this season. Now it's time to finish filling those sheets in your neighborhoods. Remember, every full sheet earns a $10 Walmart gift card, courtesy of Gulf Power! Make sure you're putting ONLY ONE item per line, so your sheet fills up faster! If you need extra sheets, please let me know. We will be collecting your popcorn sheets and money the week of October 20-26th. Sunday, October 26th, will be the ABSOLUTE LAST DAY to turn in your popcorn order. If I haven't heard from you by Saturday, October 25th, I will be calling you! If your Scout did NOT sell any popcorn, send me an email to let me know so I don't have to call you. I will be collecting your popcorn sheets and money at my house. I plan to be home the majority of each day the week of Oct 20-26th. Please send me an email or call me to let me know when to expect you. DO NOT bring popcorn sheets and money to FamCamp. 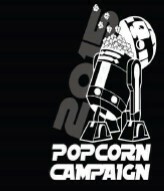 I will have extra blank popcorn forms available at FamCamp if you need them. The turn-in process will take a few minutes to half an hour, depending on your order. We will go over your sheet carefully to make sure we get your order correct and that your money adds up properly. Please plan to be able to spend about 15 minutes when you turn in your sheet, longer if you have a large order or multiple sheets. Please have your Scout pick his prize, based on his total sales amount. The total sales amount includes Take Order, Take and Sell, Show and Sell, and Online Sales. I will ask for your Scout's prize choice when orders are turned in. I make a separate post explaining how prizes work. As always, please email, text, or call me with any questions or concerns. Thank you to all the Scouts who have been coming out to support our Pack at Show and Sells! We have been very successful at our sales this season. At Oktoberfest last weekend, we sold $3,810 over the two days! 2. Scouts that live in the Parkwood Neighborhoods (gated and non-gated): Please go door-to-door in your neighborhoods to sell popcorn! At Oktoberfest, we had multiple people from your neighborhoods state that they have been on the lookout for Scout popcorn and no one has visited them. There are people wanting popcorn in your neighborhoods; use this opportunity to fill your sheets, earn your prizes, and qualify for Sportsman’s Day! If you are new to selling popcorn or feeling apprehensive, email me. I can partner your Scout with an experienced Scout to “show you the ropes”. 3. If you have popcorn money to turn in from door-to-door sales, please reply to this email to schedule a time to drop by my house this week to turn it in. Our customers prefer us to cash their checks in a timely manner. 4. If you would like more Take and Sell popcorn, please email me ASAP and let me know what you would like. If we have enough funds turned in, I can order some more popcorn this week. Thank you for all your hard work! We are at $18,010 in total sales so far. I can’t wait to see how much you guys turn in this week. Let’s try to get to $20,000 by Friday! We are well into our popcorn selling season and we’re off to an excellent start! So far at our Show and Sells we’ve sold a total of $2,875. I know you guys have been selling a lot of popcorn on your own as well; a few Scouts have filled two or more sheets. Keep up the great work! We have two Show and Sells scheduled for this week: Friday, September 12th at Winn-Dixie, and Saturday, September 13th at the Eglin Commissary. I predict that these will be great sales! Last but not least: Please bring any money you’ve collected (and your popcorn sheets) to the Pack Meeting on Sunday, September 14th. You can turn in the money and let me know how you’re doing. Our customers appreciate us cashing their checks in a timely manner. If you want to return "Take and Sell" popcorn, bring it with you. New sheets will also be available for pickup if you’re close to filling yours! Thanks for all your hard work, Scouts. Keep it “popping” !